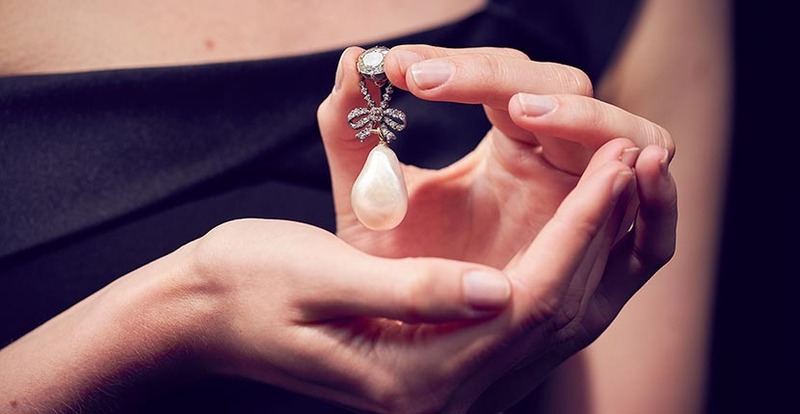 The world record price for a pearl was shattered with the sale of Marie Antoinette’s pearl pendant at Sotheby’s in Geneva during the historic Royal Jewels From the Bourbon Parma Family sale on November 14, 2018. 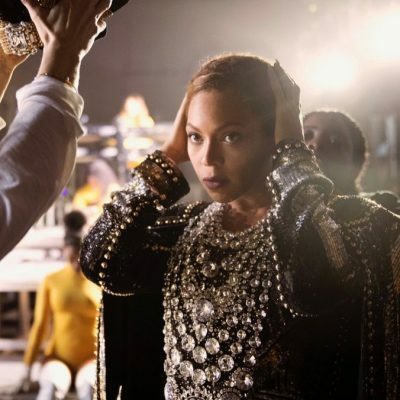 It went for $36,165,090. 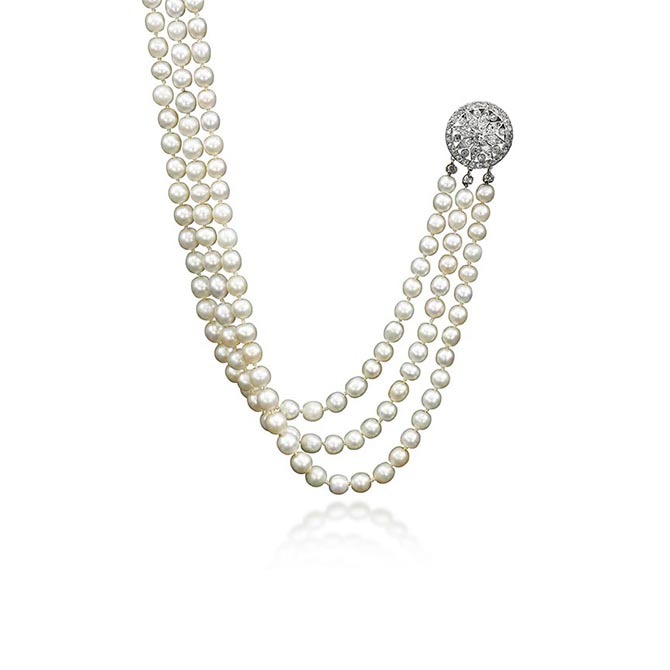 The previous record holder was the historic Peregrina Pearl from Elizabeth Taylor’s collection which sold at Christie’s in New York on December 14, 2011 for $11,842,500. Marie Antoinette’s exceptional natural pearl suspended from a pendant with an oval shaped diamond and a darling diamond ribbon motif embodied the style and luxury of life at Versailles. At Sotheby’s in Geneva, the bidding for the treasure lasted over 10 minutes with a new bidder jumping in just after the $6-million mark. As is often case with serious jewels at auction, the real action ended up between just two buyers. Both were on the phone working with Sotheby’s specialists in the salesroom. 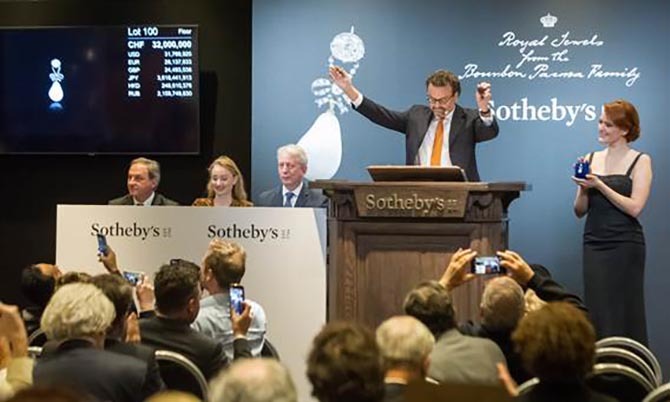 They pushed up the price in huge increments of 500,000 Swiss francs per bid until they reached 20-million then each bid cost the collectors 1-million Swiss francs which is about the same amount in dollars. In the end, the buyer who was on the phone with Sotheby’s specialist Andreas White Correal, put in the 2-million Swiss franc bid required once the price passed the 30-million threshold and won the jewel. The extra value in the final total includes Sotheby’s commission for the sale of the piece. The buyer of the jewel has only been identified as a “European Private” by Sotheby’s. As of press time they wished to remain anonymous. It is not known what, if any, public plans they have for the treasure. While it is not confirmed, it seems the same buyer also purchased Marie Antoinette’s triple strand of natural pearls for $2,278,499. It was the second most expensive piece in the sale. 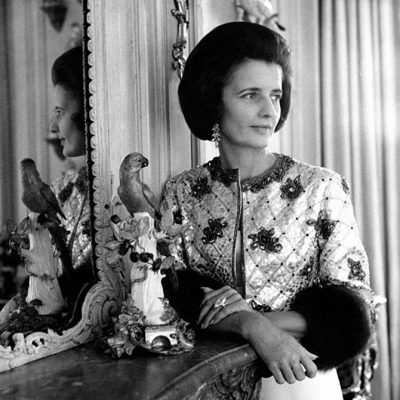 The French queen wore the pearl pendant with the necklace. A diamond bow brooch from Marie Antoinette’s collection was the third most expensive piece. It also went to a European Private, possibly the same collector, for $2,099,793. The 10 jewels from Marie Antoinette’s collection in the Sotheby’s sale had not been seen publicly for 200 years. Before the French Revolution, the queen had wrapped up a selection of her jewels and sent them out of the country in a wooden box to her family in Vienna. When the queen’s daughter, Marie-Thérèse de France, the only surviving member of the immediate family was released from prison in 1795 she was given her mother’s jewels. The collection stayed in the family until the historic sale at Sotheby’s this week.